We've been learning all kinds of things about pop's thug lovers lately. Take away T- Pain's stripper poles and you have sensitivity. 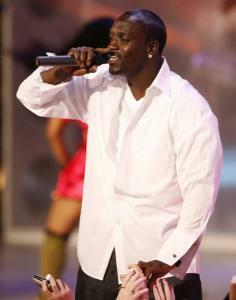 Strip the money rolls from Akon and what's left is a deep romantic. That's what "Freedom," his fine third record, reveals with its extremely breezy, Caribbean-tinged songs that are less hip-hop than lucid pop. The album seems obsessed with love and more love; a lot of it would be Oprah approved. "Freedom" is much different than his debut, the vexed "Trouble" and its follow-up, the sexier and funkier "Konvicted." Within the first three tracks, Akon plays the penitent lover ("Right Now"), the adoring one (sweetly rendered "Beautiful"), and the possessive, yearning guy ("Keep You Much Longer"). He still likes to flash his thug credentials, though. On "Troublemaker," he's all bravado: "I'm the type of guy who loves kissin'/ I'm the type of guy to pop the clip in." But unlike Plies and other rappers, there's not much menace behind this macho posturing. One of the better songs is the reggae-lite "Sunny Day" about transcending the ghetto and, with the help of Wyclef Jean's wistful rap, remembrance and turning the page.